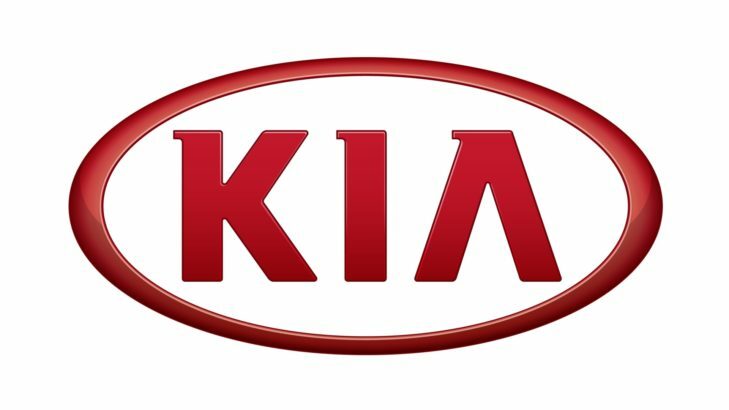 KIA Motors is heading for its India debut at the 2018 Auto Expo; it will be bringing the Kia Rio, Kia Sportage, Kia Stinger among others. After signing an MoU with Andhra Pradesh government to set up a 1.1 billion dollar plant in Anantapur district, KIA Motors is all set to make its debut at the Indian Auto Expo 2018. Famous for its image of only producing economical low budget vehicles, KIA seems to be interested in changing this perception in the Indian market. South Korea’s largest automaker, Hyundai, is a prominent stakeholder in KIA motors, which itself is the second largest in the country. Along with the expertise and guidance from Hyundai, KIA is expected to deliver optimal products for the emerging Indian middle-class. Let’s take a look at the expected line-up for KIA at the Delhi Auto Expo 2018. This alluring car from Kia Motors is a delight to look at. It is a contemporary to Hyundai Tucson and is likely to borrow Tucson’s 2.0L diesel engine. The sharply detailed bonnet, Kia’s signature “tiger nose” front, separate deep headlights detached from the grille etc. are the impeccable features of this car. The broader rear and decent wheelbase gives this car a stable outlook. Kia Rio sedan can be termed as the perfect rival to Honda City and Maruti Ciaz. The fourth generation of the Rio sedan is anticipated to be launched at the 2018 Delhi Auto Expo. The car gets a unique aggressive look and its styling is very well perked up with features like “tiger nose” grille, swept back headlights, diamond cut alloys, chrome lined fog lamps etc. Moreover, the new generation of Kia Rio will have increased length and compressed height that will improve the vehicle stability. Internationally, the new Rio comes in 1.6L GDI 4-cylinder petrol variant that produces 132PS peak power and 161Nm peak torque. The Indian Rio is also expected to come powered by a diesel powertrain borrowed from Hyundai Verna. As far as the prices are concerned, the Kia Rio is expected to be launched in the price range of Rs. 7 – 9 lakhs. Expected to be priced at around Rs. 30 lakhs, Kia Stinger is going to be a premium performance sedan from Kia Motors. In the American subcontinent, the Stinger is currently offered in 3 powertrain options – 2.0L petrol, 2.2L diesel and a 3.3L petrol. The Stinger features an extended front, sloping roofline, and a long nose. Its dimensions measure 4831mm length, 1870mm width, and 1400mm height. The power output ranges from 200PS to 370PS and torque produced is in the amplitude of 350Nm to 510Nm. Kia Niro is available as a hybrid and plug-in hybrid model. It derives its inspiration from the Hyundai Ioniq, which comes in hybrid, plug-in hybrid and all-electric globally. The car produces maximum power of 105PS and maximum torque of 147Nm, and its engine is mated to a 6-speed dual clutch transmission along with an electric motor of 32KW which produces a combined power of 141PS. The plug-in model has a range of 58 km. This compact sub-4m SUV is based on the Kia Rio. If it’s launched in the Indian subcontinent, it’s likely to be priced at Rs 15 lakhs. As far as the powertrains are concerned, the Stonic is anticipated to be available in 1.0-litre turbocharged petrol, 1.4-litre naturally aspirated petrol and 1.6-litre diesel engine options. Initially, the car is expected to come mated to a manual transmission, but is likely to be introduced with the automatic transmission at a later stage. For all the Auto Expo 2018 updates, stay tuned to CarBikeIndia!